This is my first time getting a DNA mod. I use TC SS 316 vaping on a Charon TC right now, around 45-50W at 360-420F. 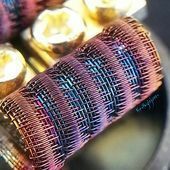 Using Triple core parallel fused clapton 28gx3/36g from AdvancedVapeSupply, see link for my wire I'm using: https://www.advancedvapesupply.com/collections/spooled-ss-prebuilt-wire/products/new-up-to-30-of-triple-core-parallel-fused-clapton-28gx3-core-36g-wrap-316l-ss I am wondering profiles/updates/etc, what should my settings be? I usually build .12 builds, I now see I need .15 or higher for the DNA 75. 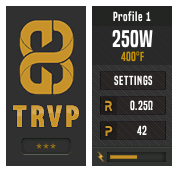 I can do dual coil 7 wraps to achieve this, but I am new to escribe never used any of this, profiles, etc, is there ones people prefer to use for certain wire etc?